I don’t do a lot of holiday-specific recipes but this year, I really wanted to bring you this Vegan Chocolate Chip Cookie Cake. 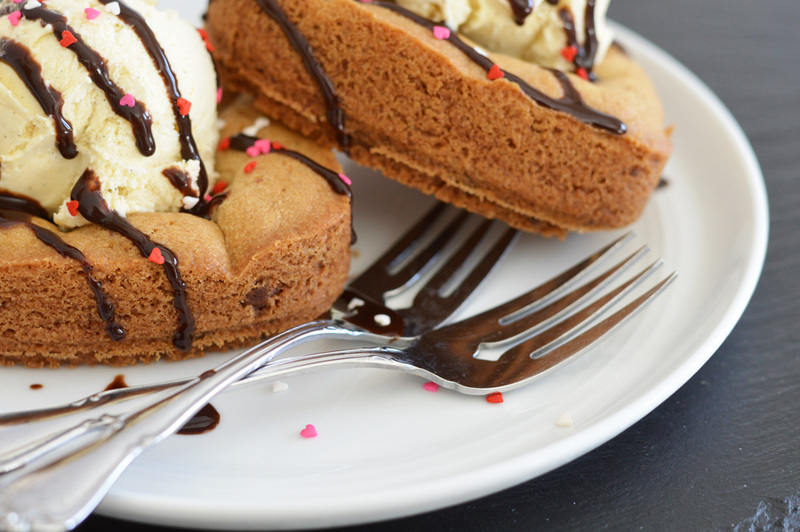 This is my chocolate chip cookie recipe in the form of a cake. Under cook it slightly and you have a molten chocolate chip cookie. 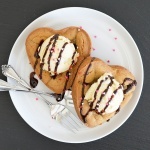 Add a scoop of your favorite dairy-free vanilla ice cream, a drizzle of chocolate syrup and tiny heart jimmies if you can find them. 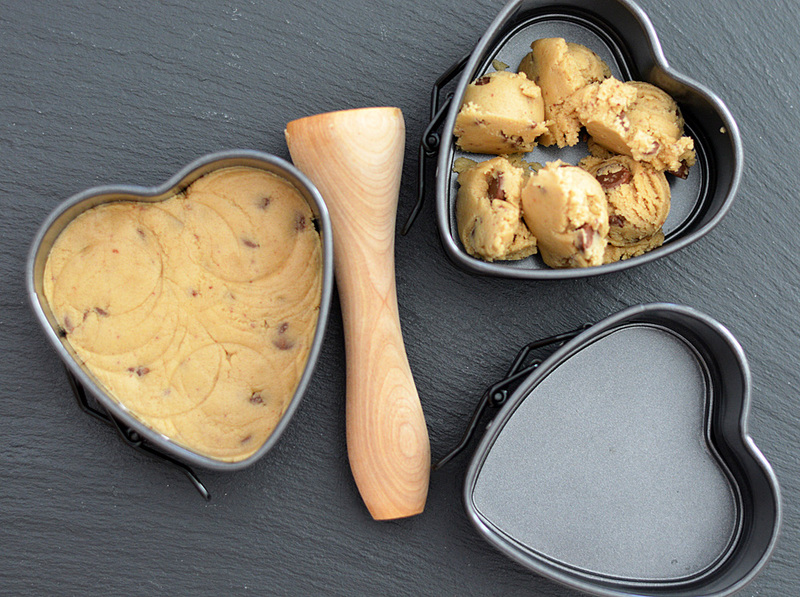 I used these mini heart springform pans to create the cookies and about six scoops using this cookie scoop. I have a wooden tart tamper, but you can even use a small juice glass to press the dough into place. The exterior gets a bit crisp (take care not to OVER bake or they will be too crisp) and the center remains soft. The ice cream further softens the cake. Just delicious! 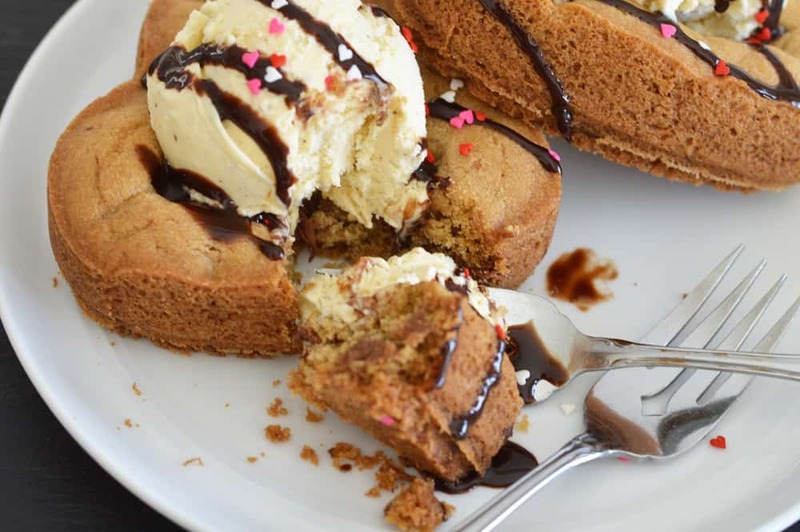 Did you make this recipe for Vegan Chocolate Chip Cookie Cake? Leave me a comment below and let me know what you thought! COMBINE flour, baking soda and salt in small bowl. Beat shortening, granulated sugar, brown sugar and vanilla extract in large mixer bowl until creamy. Add egg substitute and beat in flour mixture. Stir in chocolate chips. 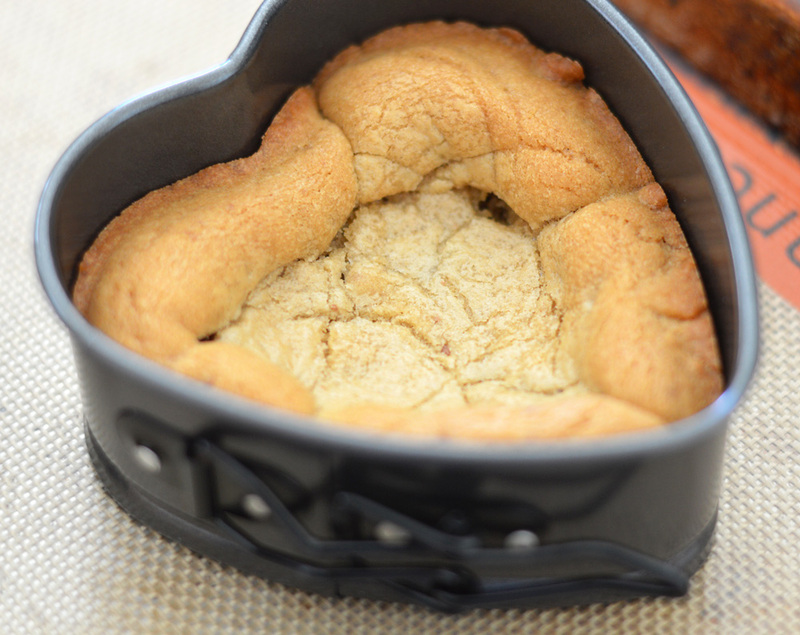 Using a scoop, place about 6 into the heart shaped mini springform pan. Use a juice glass to tamp down the dough until it is evenly dispersed. BAKE for 12-18 minutes or until golden brown and just set. NOTE: EVERY OVEN IS DIFFERENT. DO NOT OVER BAKE. YOU MAY NEED MORE/LESS BAKING TIME. Allow to cool on baking sheets for 5 minutes. Add a scoop of dairy free ice cream, chocolate syrup and sprinkles. Serve warm. How much apple sauce did you use in the Choco Chip Cookie Cake? I’d like to use this recipe to make a cake for my sons 3rd birthday. He specifically asked for a chocolate chip cookie cake but had an egg allergy. Can this be made in a regular cake pan? Using the same measurements above? My boys here are diabetic so can I use stevia or another sweetener instead of sugars?? ?